It was issued on the 4th of February 1952. 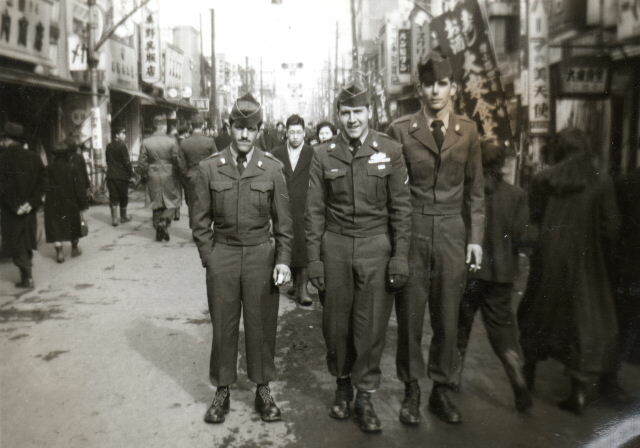 My Dad was stationed in Japan and Korea during the Korean Conflict. I find on Wikipedia the article “Line-Crossing Ceremony” which shows different rituals used in the Navy. My Dad was in the Army not the Navy. 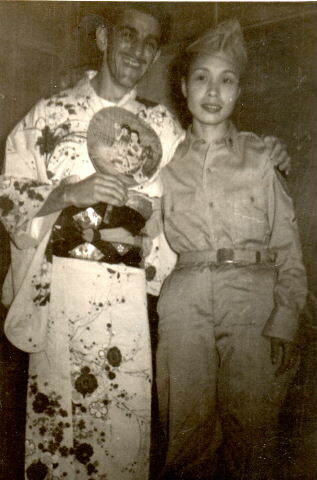 So, this colorful certificate was part of the ritual of his first transport by the Navy to Japan. 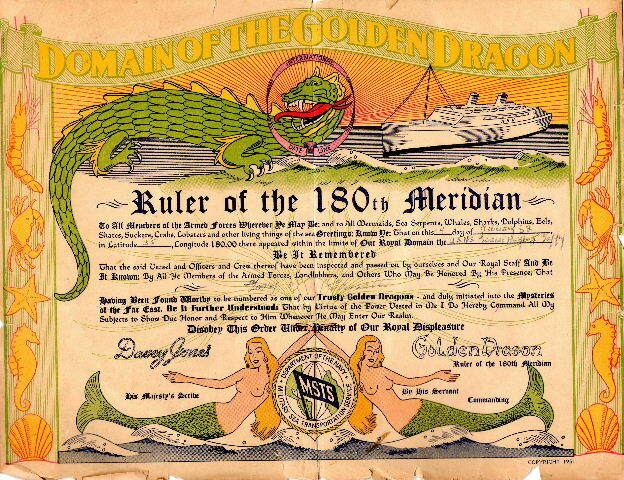 The Order of the Golden Dragon represented passing the International Date Line.